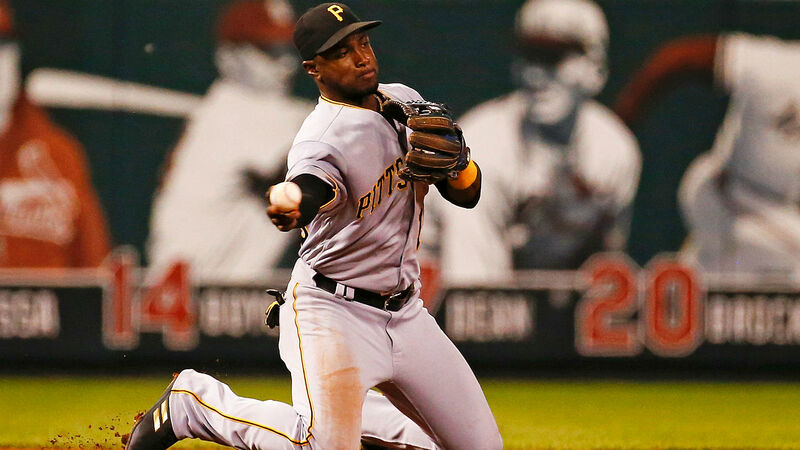 The Yankees boosted their infield depth late Friday, acquiring shortstop Adeiny Hechavarria from the Pirates. New York will send a player to be named or cash in exchange for Hechavarria, while the Pirates will give the Yankees $863,709 to cover most of Hechavarria’s remaining salary, according to the New York Post. According to The Post, the Yankees completed the deal just before the deadline to ensure Hechavarria will be eligible for postseason play. To clear a roster spot, the Yankees designated lefthander Ryan Bollinger for assignment. The 29-year-old Hechavarria had played in only 15 games for the Pirates since coming over from the Rays in a trade Aug. 6. Hechavarria is slashing .254/.287/.342, but he’s more valued for his glove (career 5.9 dWAR). He also can play second and third. Yankees starting shortstop Didi Gregorius, who hasn’t played since Aug. 20 because of a bruised heel, could be back in the lineup by Monday, manager Aaron Boone said.